into a fantastic piece of software, The Social-Engineer Toolkit or just SET for short. SET is designed, Developed and used by several Social-engineers. So... Let's get started! Now there are numerous of things here so let's look into that! 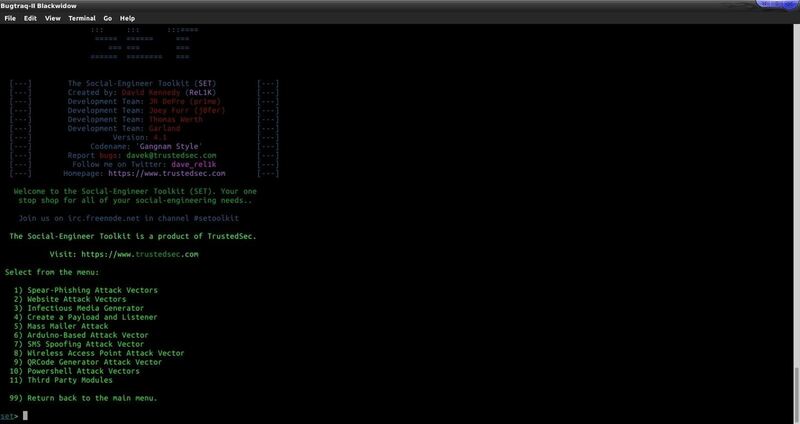 This tool allows you to send e-mails with a malicious file as payload. This tool allows you to create a malicious website link. This tool creates a payload and a .ini file for a usb,cd or dvd injection. Straightforward just creates a .exe file and opens a listener. This tool will send e-mails to the target. For use with a "teensy usb." With this tool you'll be able to craft sms messages and send them. Generates a QRCode to a specific URL. Will allow you to browse for more add-ons. 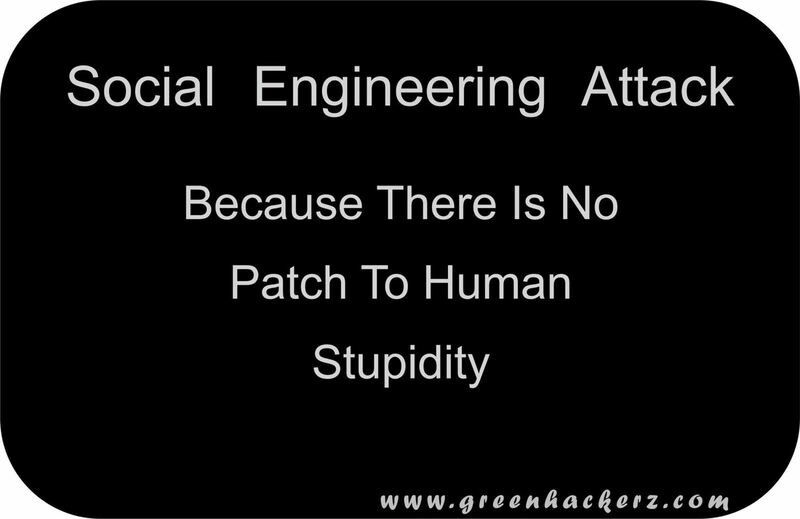 So go ahead and try to social engineer someone, and i hope this helps. Is SET already installed in BugTraq & backtrack if so from where to open it ????? Well i'm not sure if it's installed on Backtrack. If you'r running bugtraq you should go to pentesting and it should be there! I had a small problem with bugtraq as Firefox and some other stuff was in Spanish i couldn't understand what i read. It is definitely installed on Kali. "python openssl is not detected or pem file not found note that ssl compatibility will be affected"